Science is a word used in various contexts much more often than it is defined. Science as an idol is sometimes vehemently defended or just as vehemently derided, without regard for what science actually is. Let’s review what constitutes science. Science is the observation of our surroundings, with no or minimal bias, along with the formulation and testing of hypotheses about the nature and function and interactions of our surroundings. That’s it; no ideology, no agenda, no strong emotions. Strictly objective pursuit of science is usually cumbersome, time-consuming and often expensive. As a practical matter, only a researcher or a student has time to pursue small areas of the vastness of all potential science. The rest of us work with what we know of established fact, or assume of established dogma, and most people don’t usually take time to re-examine and re-test our cherished hypotheses; we simply act on them. This haste is prevalent in medicine, because the health insurance industry pressures caregivers to hurry through each patient’s visit and care: physical exams, lab tests or imaging, diagnoses and treatment, all within a short period. Therefore, some leaps of faith are necessary. Doctors simply do not have time to test hypotheses with the pressures of the daily workload confronting them. The only expedient way to get through an entire day full of patient appointments is to keep the scrip pad close at hand. (2) the assumption that at least once in a while the drugs that they sell have been subjected to double-blind or at least placebo-controlled trial. That study found that lung cancer patients treated with the chemotherapy drug Docetaxel survived an average of 7.5 months, whereas those receiving merely supportive care with no chemotherapy or other treatment at all survived an average of 4.6 months. If patients knew of this small difference in survival, would they opt to lose their GI tract function, hair, neurological health, cardiovascular health and other wellbeing? Worse yet, this study found that the group receiving Docetaxel faced the life-threatening conditions of febrile neutropenia and non-hematologic toxicity. Was all the misery of chemotherapy worthwhile, not to mention the medical bankruptcy that so many families suffer following chemotherapy – was all of that worthwhile, simply in order to gain 3 more months of life? Gastric and esophageal cancer rates in Linxian, China are among the highest in the world. In 1994, a randomized, placebo controlled trial was conducted among 29,584 adults, in a general population study. The experimental group was given one of four nutrient treatments for 5.25 years. The doses were the same or double the US recommended daily allowances of the time. It should be kept in mind that the infamous old “RDA” figures were notoriously low, barely enough to prevent vitamin deficiency. Even with the very low doses of the supplemented nutrients, it was found that the group having Vitamin A and zinc had 62% less gastric (stomach) cancer than the placebo group. The group receiving beta-carotene (a small component of all of Vitamin A), Vitamin E and selenium had 42% less esophageal cancer than the placebo cohort. These are statistically significant results, and easily adopted interventions that should have been publicized much more broadly around the world, so that the use of Vitamin A, Vitamin E, and minerals would become more widespread and available. Vitamin C, alpha-tocopherol (the least effective form of Vitamin E), beta-carotene (one of the least effective forms of Vitamin A), selenium and zinc. They took these daily for 8 years. There was a statistically significant reduction in the incidence of prostate cancer in the experimental group among the 94% of the men who began the 8 years with a low PSA (<3 micrograms/L). One has to wonder if therapeutic forms and doses of these nutrients had been used, the results may have been even more remarkable. In another study, which was retrospective, rather than randomized and placebo-controlled, of 37,916 US women, dietary folate and vitamin B-6 was found to reduce the risk of colorectal cancer over the 10 years of the study. Vitamin D has been shown to be effective against cancer by a number of mechanisms and against a wide range of cancers. A study that found low levels of vitamin D intake had no effect against cancer mortality in this randomized trial may have come to a different conclusion if therapeutic doses had been used. Vitamin D metabolites have been shown to have cancer-disrupting effects by several key mechanisms. Vitamin D has been shown to induce differentiation, and apoptosis, to reduce proliferation by effect on signal transduction, to improve intercellular communication by means of gap junction communication preservation, to inhibit angiogenesis,  and to inhibit metastasis. It may be even more helpful that the synergistic effect of Vitamin A and D together produced permanently ongoing differentiation of cells, even after both nutrients were discontinued, and even though the differentiation achieved by each of those vitamins used alone was reversible. This synergy of nutrients should of course come as no surprise to those who understand the metabolic pathways in the human body. These pathways, as filtered by our still limited academic understanding of them, make clear that the nutrients are synergistic in their effects on the cells in our bodies. Just as a well-balanced meal is not all one nutrient alone, optimal nutrition is always multi-faceted. Double-blind, placebo-controlled trials of any therapy are highly risky in cancer patients due to the higher mortality awaiting the group that fares worse. Clinical trials are ended early if it is clear that one group is benefitting much more than the other cohort, in order for both groups to benefit from the more effective treatment. Therefore, I do not encourage or condone further double-blind, placebo-controlled studies of cancer treatments. The consequences of suffering or death in the less fortunate cohort of cancer patients is unacceptable under any circumstances. However, now that some of these trials have been done, it is very important that we not allow ourselves to forget the knowledge gained from them, because such knowledge may be decisive in saving the lives of cancer patients. 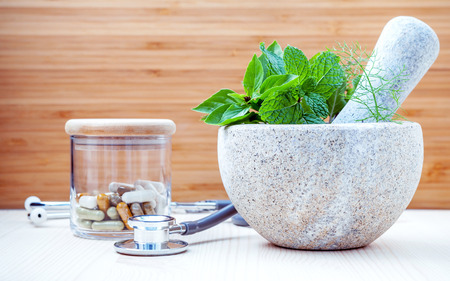 For optimal dosing of the above nutrients in either cancer treatment or cancer prevention, there is no substitute for consulting a licensed naturopathic physician. At our clinic we schedule a lengthy (one hour) initial consult, in order to begin to evaluate the specific nutritional needs of the individual. Other naturopathic physicians whose practices focus on cancer patients may be found at Naturopathic Cancer Society, at www.NatOnco.org, and at Naturopathic Oncology Research Institute, www.NaturopathicStandards.org. Naturopathic Cancer Society. Which cancer are you researching? www.NatOnco.org. Jarrard D, Konety B, et al. Phase IIa, randomized placebo-controlled trial of single high dose cholecalciferol (vitamin D3) and daily genistein (G-2535) versus double placebo in men with early stage prostate cancer undergoing prostatectomy. Am J Clin Exp Urol. Sept 2016. 20;4(2): 17-27. https://www.ncbi.nlm.nih.gov/pubmed/27766277. Kizildag S, Ates H. Treatment of K562 cells with 1,25 dihydroxyvitamin D(3) induces distinct alterations in the expression of apoptosis-related genes BCL-2, BAX, BCL(XL) and p21. Ann Hematol. 2009 May 28. (Epub ahead of print.) https://www.ncbi.nlm.nih.gov/pubmed/?term=Treatment+of+K562+cells+with+1%2C25+dihydroxyvitamin+D(3)+induces+distinct+alterations+in+the+expression+of+apoptosis-related+genes+BCL-2%2C+BAX%2C+BCL(XL)+and+p21.++Ann+Hematol.